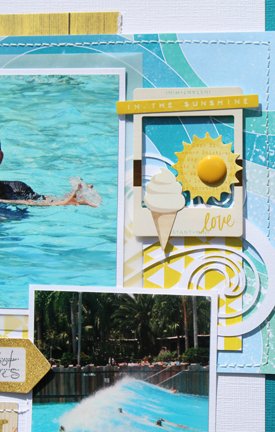 The "Summertime Rolls" kit, Add on kit, Digital Print and Cut files, and Stamp Set from Scraptastic is just so much fun and if you haven't seen them, check them out HERE now. 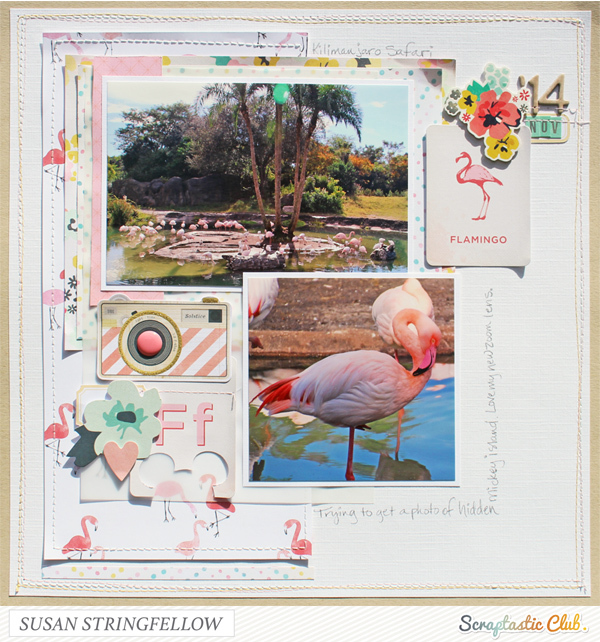 Today I have 2 layouts to share. This first one was super quick because as soon as I opened the kit and saw the flamingo paper and cards, I knew I had to do an Animal Kingdom flamingo page! Did you know the flamingo island is a hidden mickey? :) I just can not get a good photo showing the shape but I think its cool. 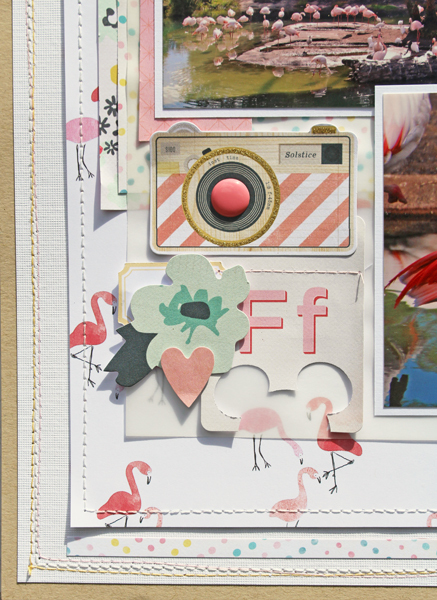 The Ff card is cute but works better with a Mickey punch and do you love the pink camera die cut! 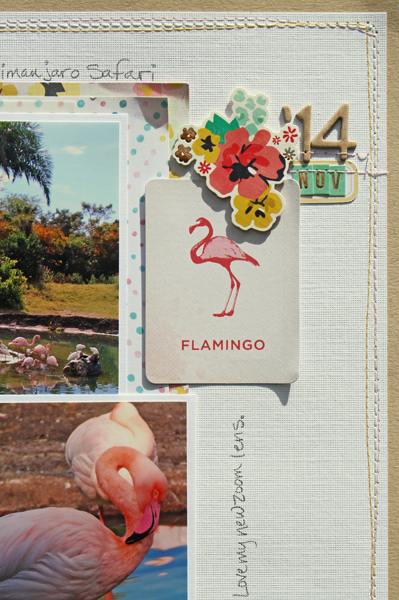 My favorite bit is the flamingo card and the nice flower cluster sticker with the gold foil. 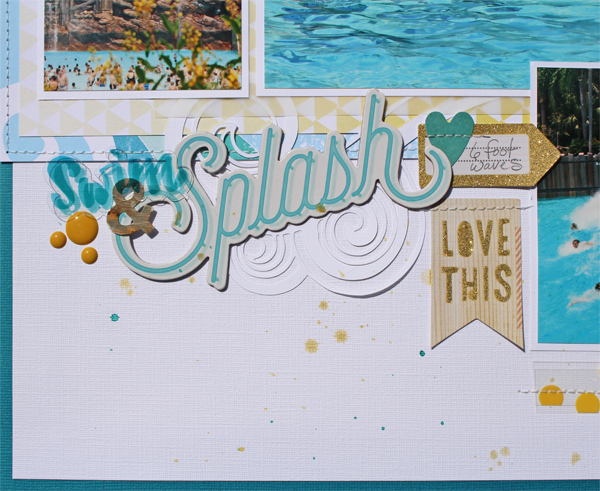 For my second layout I went mostly yellow and blue for a sunny look. I cut out some more of the digi cut file waves. I just love that wave!